Like Twitter? We do! With our enthusiasm (unhealthy addiction) for Twitter combined with our gallant attempt at adding enhancements to the Twitter platform, we know you’ll ‘love’ to Twitter on Twaitter. 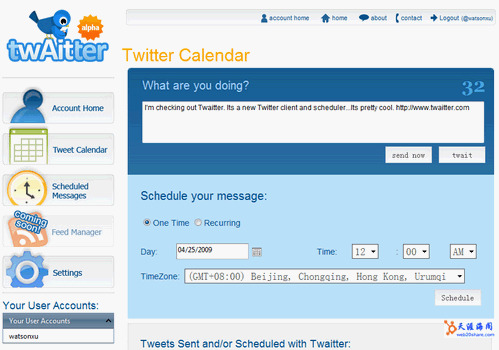 Home – Twitter Scheduler – Twitter Client – Twitter Calendar – twAitter.com.